Chances are you would have come across mid-century patterns if you’re into interior design. 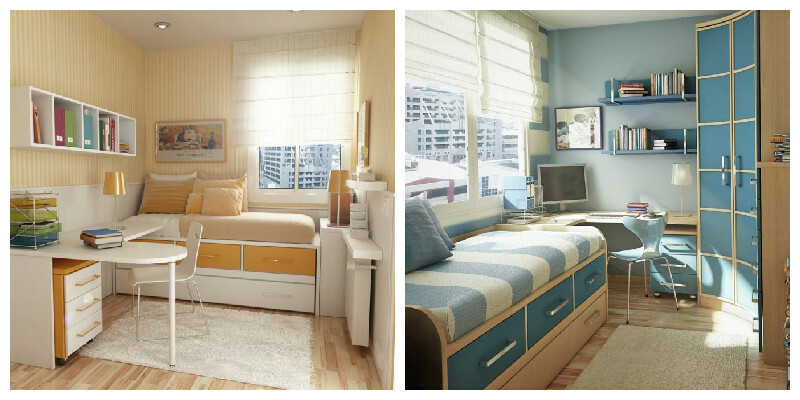 Very popular in the 50s and 60s, minimalism and simple repetition ruled with this trend. Even today, they’re still very much in vogue. You can understand the appeal for these designs. 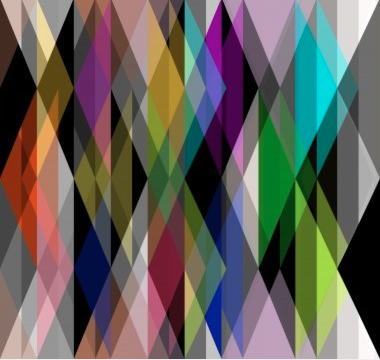 They’re striking, geometric, reminiscent of things we can all relate with and at times nostalgic. Nowadays, it is more common to find people seeking interesting modern interpretations. What’s not to like about the sheer simplicity in the patterns used? The bold contrasting colours are a staple which means they’re nothing but bold and beautiful. A perfect match for anyone who likes full on colour. 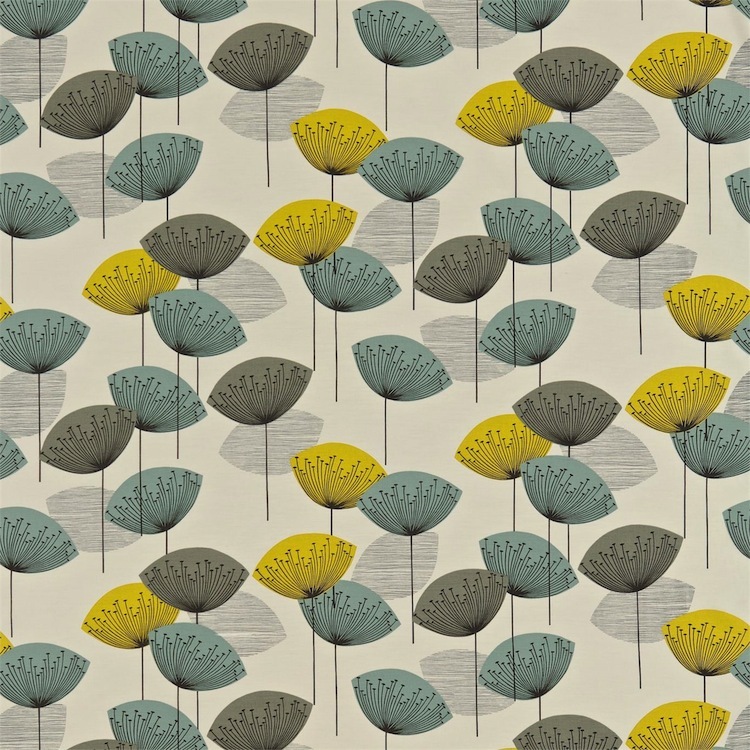 One very popular design is the Dandelion clocks pattern which was designed by Fiona Howard for Sanderson in 2008. 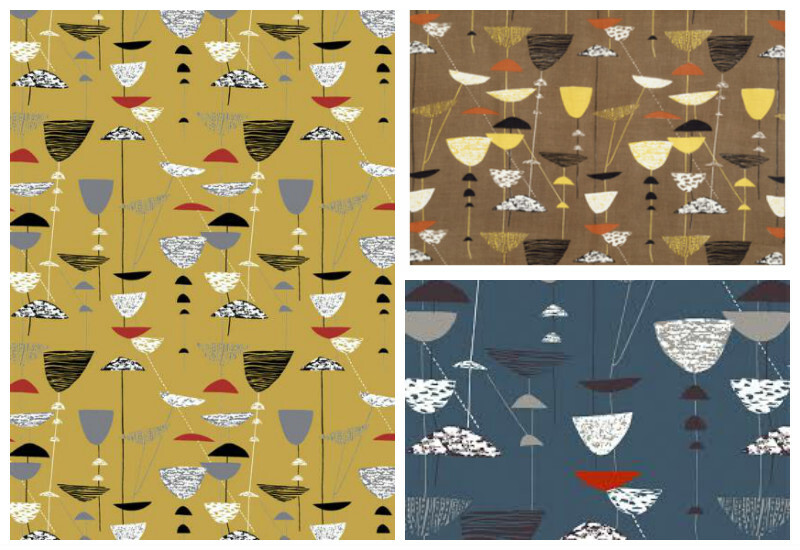 Going down memory lane, a textile designer well known in her days for brilliant designs was Lucienne Day. The ‘Calyx’ which she designed for Heal’s in 1951 was the fabric that brought her fame. 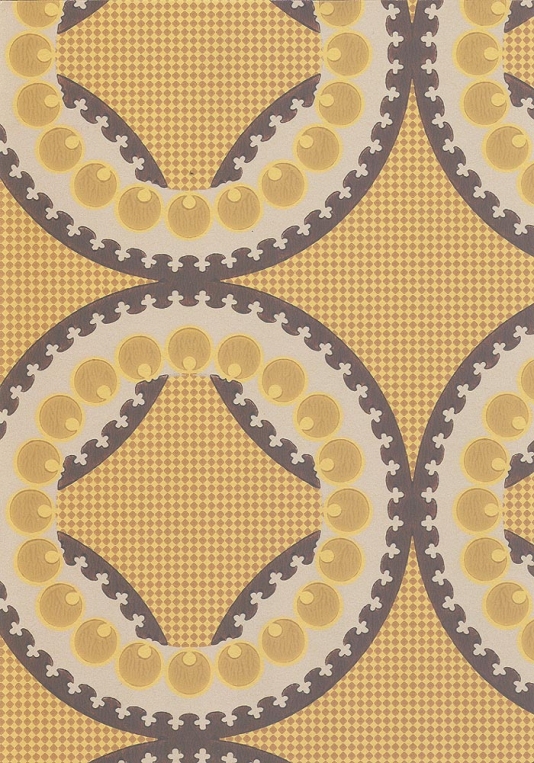 Orla Kiely is another lady whose name rings a bell when it comes to mid century patterns. Her designs are literally on everything. 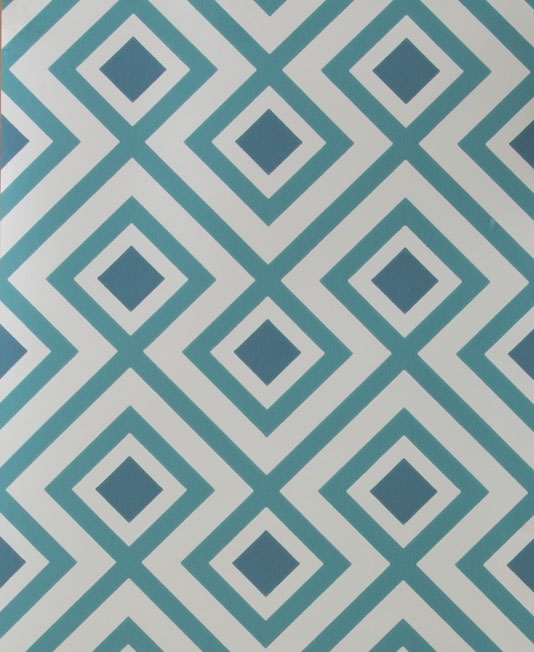 Even some designs like this Aquila wallpaper design in our Stellar collection have been said to have mid-century feel to them too albeit a modern take. We sure didn’t see that coming but we’re more than happy to take the compliment. With applications on wallpaper, fabric, wall art and even custom headboards, you’ll agree that these designs are very versatile. Inspired? Why not look to infuse this into your home? Debuting at the International Contemporary Furniture Fair (ICFF) in May 2016, our new collection ‘STELLAR’ is inspired by the boundless hidden beauty of the sky and space. This luxurious, contemporary collection of designs captures the dualistic nature of the skies with a colour palette evoking both dawn and dusk. The ‘STELLAR’ collection consists of four wallpaper designs in varying colour ways, three fabric patterns, two cushion designs, four coasters and a set of matching fabric, coaster and placemat designs. Moody Monday will be launching STELLAR at ICFF. For more details, visit our exhibitor profile at ICFF. Come and say hello. We look forward to seeing you. Over the last few weeks we’ve been doing spotlights on some of the amazing businesses we work with. Today we’re off to our stockist in the Asian Continent – WALPA. 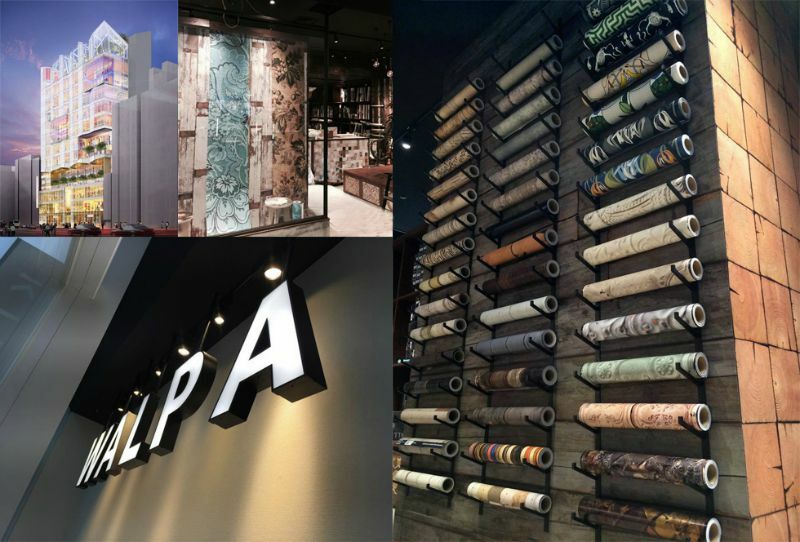 They are a Japan-based wallpaper specialty store dedicated to bringing happiness and comfort to people through wallpaper. 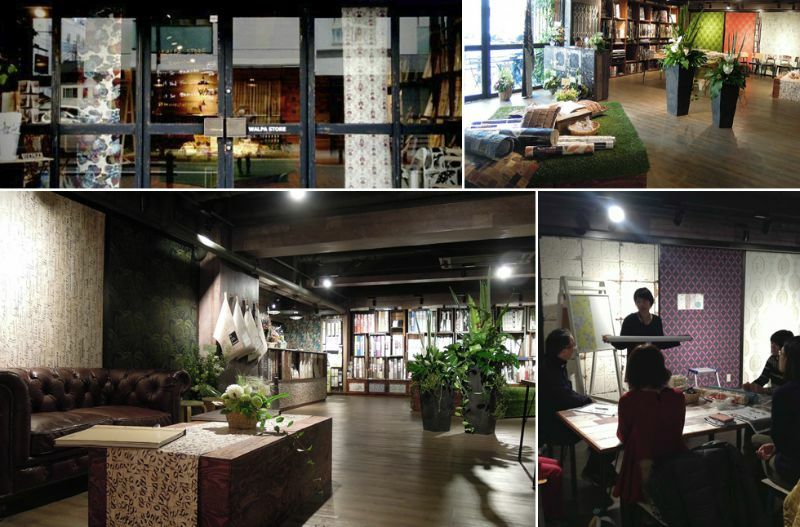 Their mission is to bring a new love for patterned walls to Japan. Their five stores are beautifully designed and presented as you can see (pictured below). Customers literally get a piece of ‘wallpaper heaven’. WALPA’s collections range from modern, classic, shabby chic to vintage, Moroccan, you name it. You’ll find they have a vast plethora of styles available to meet everyone’s needs. They stock a wide array of brands from various parts of the world including well-known UK based ones such as Moody Monday, Liberty, Graham and Brown, Cole and Son. You can view our profile on the WALPA website here. We want to spread wallpaper love as far and wide as possible so feel free to spread the word to other wallpaper lovers you know in that part of the world. Images sourced from WALPA’s website. 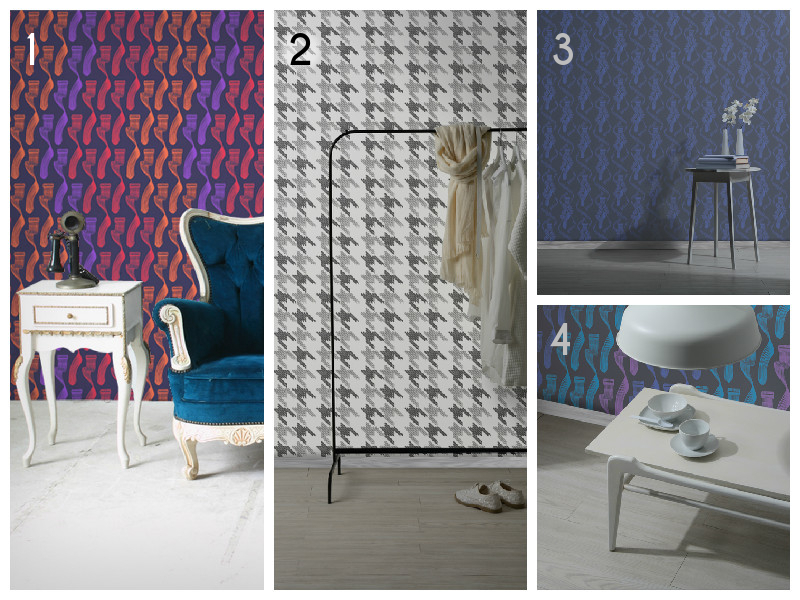 We love wallpaper here at Moody Monday, we can’t hide it. It’s our staple product and it is our goal to make our creations accessible to as many customers as possible. So we’re always on the hunt for stockists to collaborate with to make this happen. 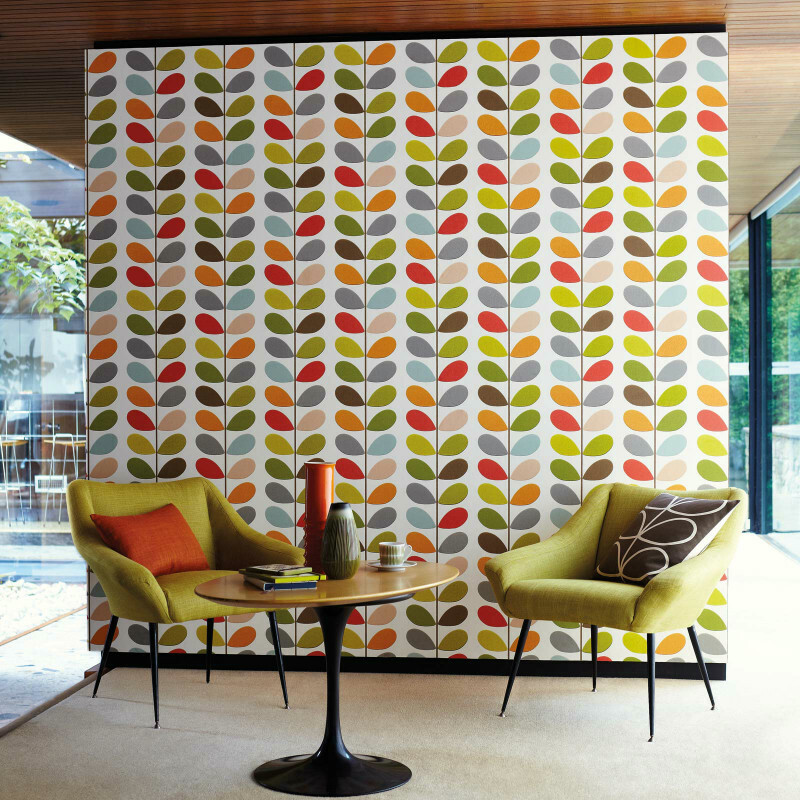 We’re pleased to announce that we now have our very first stockist in Australia – Wallpaper Antics. With the simple aim of offering customers high quality bespoke wall coverings for their homes that are unique investment pieces, Wallpaper Antics concentrates on featuring wallpaper from skilled designers across the globe. The wide array of wallpapers, many of which are screen printed present plenty of choice for customers looking to decorate their homes. From hand screen printed wallpaper to digitally printed wallpaper and murals, they have all you need to create a striking look in your home. They also offer a bespoke printing service which caters to clients working on a one of a kind project. 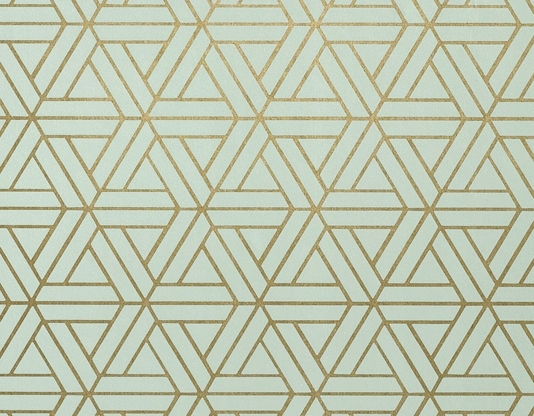 The full range of Moody Monday’s wall coverings are stocked by Wallpaper Antics. Check out our profile on their website. Here are a few others from their assortment of wallpapers. 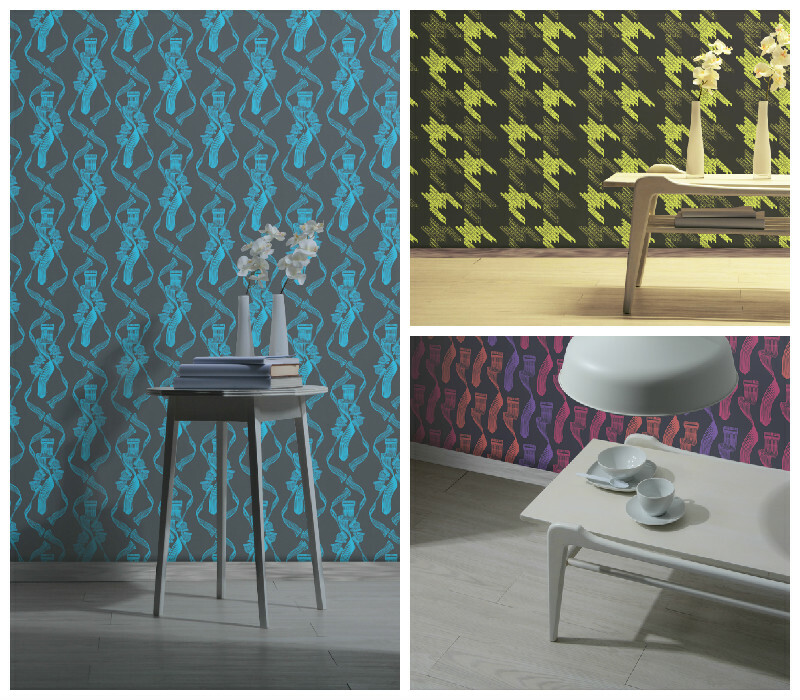 Images sourced from Wallpaper Antics website. It seems as though just yesterday we were (carefully) packing our elegant and contemporary wallcoverings, and shipping them over all the way to Shenzhen, the UNESCO City of Design! Three weeks and almost 6000 miles later, there they are, being prepared for display in the Edinburgh Creative Industries taking place in Shenzhen, China. The incubator opens in a very short three days, on Friday 15th May and we’re very excited our work will be displayed in the venue for the upcoming three months. “I’m really excited about the opportunity of sharing my wallcovering designs with the Chinese market, as Shenzhen is a vibrant and creative city, which falls in line with the designs I create. I’m looking forward to find out how my work will be received in this new market!” Eliza Kesuma, the designer behind Moody Monday. Part of our ethos here at Moody Monday is to create designs that challenge traditional style concepts. Florals can be lovely, but they have a tendency to look twee and have been recycled again and again by various designers and artists. 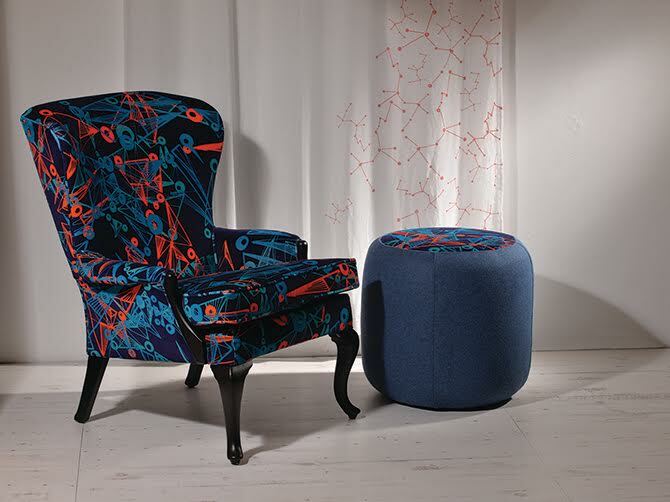 In this blog series we’ll be looking for alternative prints and patterns that can be incorporated into interior spaces to create a more original, striking, contemporary look. To get things started, we’re looking at Geometrics. 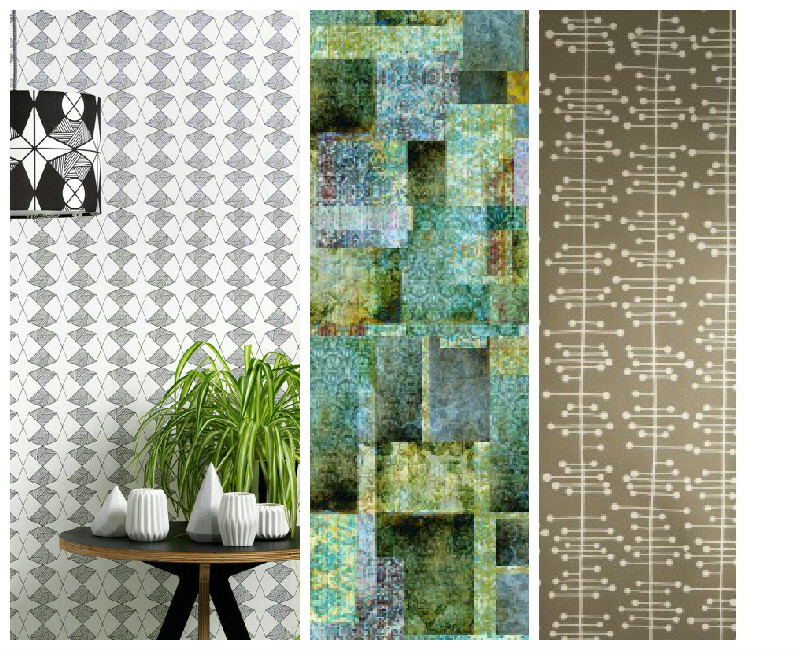 Geometric patterns are a great way to add a point of interest to a room in the form of a feature wall. They can also be used with accessories to jazz up block colours. Geometrics are rather versatile too – they can make a room look contemporary and chic or provide a retro feel, depending on how they’re used. 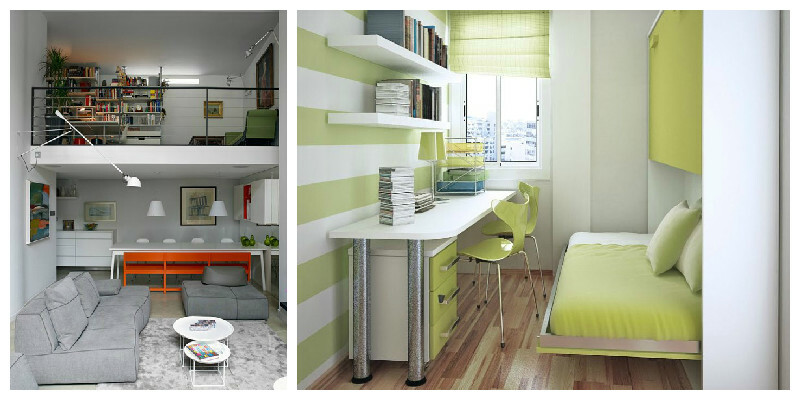 Making use of prints and patterns is also a good way to incorporate more colour into a space. 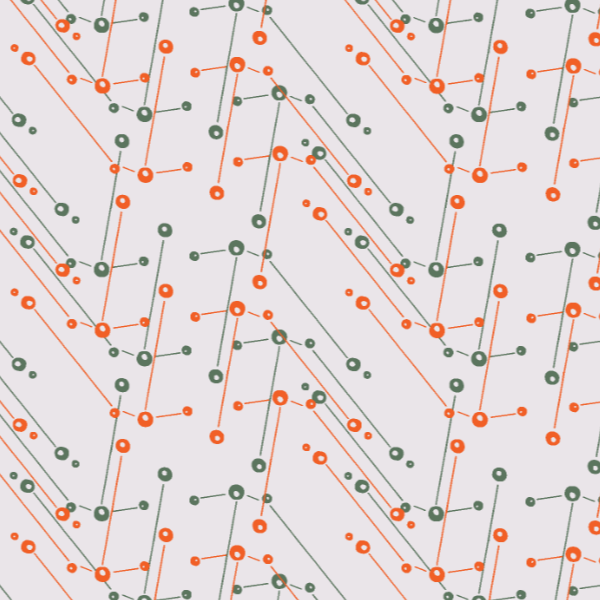 A word of advice about geometrics: be careful not to overuse these kinds of patterns in one space. Though the arrangement of various shapes and colours can look stunning, overcrowding a space will make it look confused and disordered. The final instalment of our hotels inspiration feature takes us to Japan and the Claska Hotel. Being primarily concerned with design innovation, the hotel divides rooms into thematic categories: ‘Japanese Modern’, ‘Contemporary’, ‘Tatami’, and ‘Weekly Residence’. These various design concepts present guests with contrasting spaces which range from traditional Japanese, wider Asian influences, welcoming comfort, East-West fusion, and even to more conceptual artistic spaces. Photo: one of the ‘Weekly Residence’ rooms. ©Claska 2015. We feel most inspired by the imaginative décor which, though contemporary, still maintains the Japanese style and sensibility. 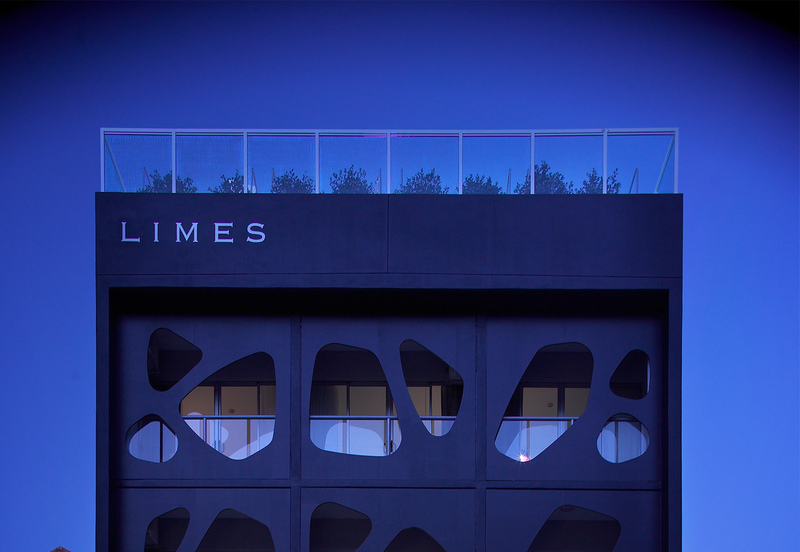 The interesting exterior also makes this hotel a visually engaging space which emits a vibe of creativity. They also have a shop to spoil design fans rotten; fantastic focus on detail! Photo: one of the Tatami rooms available at Claska. ©Claska 2015. We hope you’ve enjoyed the hotels we’ve shared with you over the past few weeks. 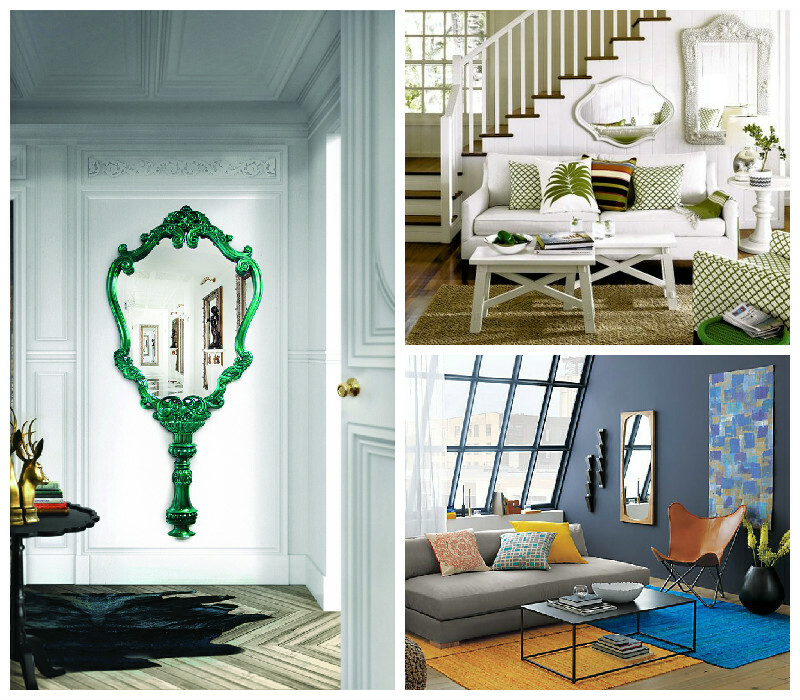 Check out our other blog features where you can see which designers we can’t get enough of! 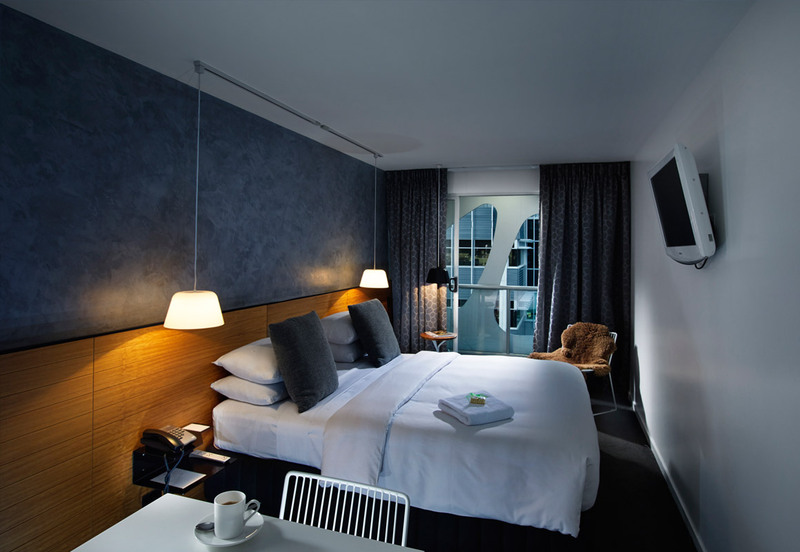 We’re staying further afield again this week with the Limes Hotel, Brisbane. First opened in 2008, this hotel actually forms part of a group of hospitality and entertainment establishments made up of bars and restaurants. 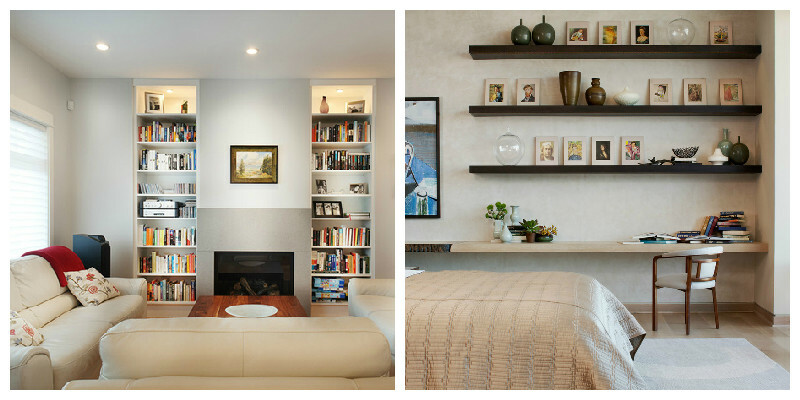 Photo: Contrasting textures lend subtle intrigue to this understated guest room. ©Damian Griffiths, Limes Hotel 2015. Though the interiors, designed by Derlot, deliver exceptional contemporary style, what we really admire is building’s façade (pictured below) which presents a large-scale graphic pattern that also doubles as a feature for the windows of the guest rooms. This statement architecture lets you know upon first glance that the building is a design hotel. Inside, patterns are more subtle with contrasting surfaces and a mixture of different materials. It seems the design subverts expectations by reversing the usual order of things: bolder prints as a pattern for the exterior, and a more architectural approach to the interior. Photo: the hotel’s impressive exterior. ©Damian Griffiths, Limes Hotel 2015.